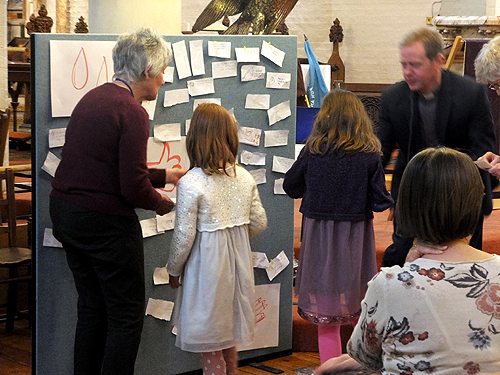 We have an All Age Service every so often when everybody joins together for one main service. This is specially aimed at family groups and younger members of our congregation and there is often a theme involving activities for the younger members (and the not so young!). 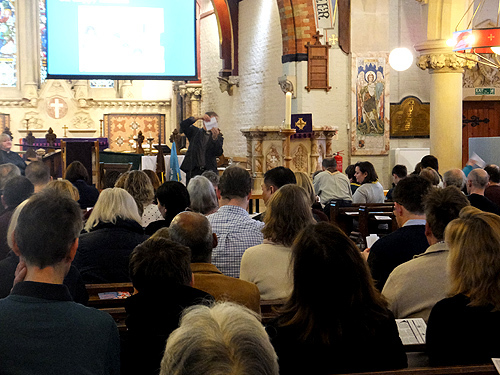 Examples of these services are Christingle, Mothering Sunday and Harvest. The St James's Players instrumental ensemble accompanies the hymns and other sung parts of the service, and also plays before and after the service. The Shell Seekers Sunday School joins the congregation and the services often include a uniformed parade. Sometimes members of these groups act as sidespersons, read lessons, say prayers, perform short plays and so on during the service and assist with the refreshments in the hall afterwards. 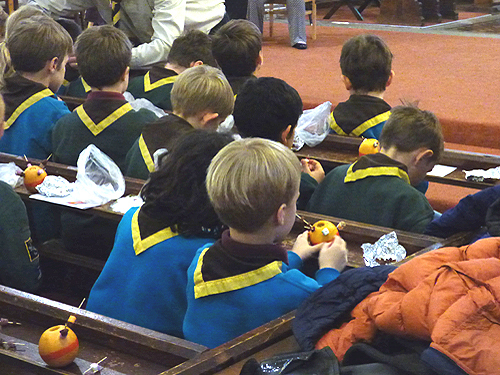 The service is followed by refreshments, the parish breakfast, in the church hall. Our small hospitality team provide tea and freshly-brewed coffee as well as cakes and hot bites. All our drinks are Fairtrade products. Everyone is welcome.